Expect an increased police presence and steep DWI consequences during the 2016 Men’s NCAA Final Four Tournament, according to Corso Law Group. Police officers know that people will be drinking this weekend. Basketball fans should be aware of the strict consequences for DWIs in Houston. Houstonians and more than 70,000 visiting fans can expect an increased police presence and steep DWI consequences during the 2016 Men’s NCAA Final Four Tournament and surrounding events this weekend in Houston, according to the Houston DWI lawyers at Corso Law Group. When leaving a professional sporting event, 40 percent of people have alcohol in their system and nearly eight percent are legally too intoxicated to drive, according to a study conducted by the University of Minnesota. In order to combat DWIs and alcohol-related accidents, the enforcement of a No Refusal initiative is likely, especially after KVUE reported on a recent string of No Refusal days for South by Southwest, St. Patrick’s Day and Spring Break. A No Refusal period means that if a driver refuses to take a breathalyzer or blood test when pulled over, an officer is allowed to request a search warrant from a judge for their blood sample. In Texas a DWI can result in jail time and thousands of dollars in fines. These consequences can affect one’s career, education, friends, family and finances. In Texas, the importance of contacting an experienced DWI lawyer can not be overstated. “The Final Four is a massive event, and police won’t think twice about arresting someone who they feel isn’t following the rules,” Corso said. Corso Law Group is an experienced team of legal professionals who have handled thousands of DUIs in Arizona over a combined 30 years of practicing law. Founder Christopher Corso is a former Maricopa County (Ariz.) prosecutor whose legal team can help with drunk driving cases as well as other criminal defense cases, including criminal speeding, CDL tickets, photo radar tickets, felony charges, drug possession, weapons possession, violent crimes and more. 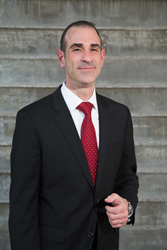 Christopher Corso is solely licensed to practice law in the state of Arizona. All Texas cases will be handled by a licensed attorney in Texas. Corso Law Group is located at 5177 Richmond Avenue, Suite 1250, in Houston. To schedule a free consultation, please visit http://www.corsolawgroup.com or call (731) 231-0499.